成语 are widely used in Classical Chinese and in the spoken language today. According to the most stringent definition, there are about 5,000 成语 in the Chinese language. 成语 are mostly derived from ancient literature. The meaning of a 成语 usually surpasses the sum of the meanings carried by the four characters, as 成语 are often intimately linked with the myth, story or historical fact from which they were derived. 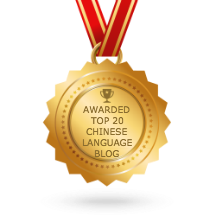 As such, chengyu do not follow the usual grammatical structure and syntax of the modern Chinese spoken language, and are instead highly compact and synthetic. Once upon a time there was a farmer who worked hard in the fields every day. One day, while he was ploughing the fields, he heard a bumping sound. He saw a rabbit lying by the trunk. He picked it up and found that it was a fat rabbit. He thought to himself, “Since it is so easy to get a rabbit like that, why should I work so hard all day long?! He threw his hoe away and lay by the tree every day, dreaming for more rabbits to come. When he finally realized his foolishness and returned to his fields, he found that all his crops were dead. The story tells us that we should not wait for unexpected gains by trusting chance and luck. Or, we should not hope to get rewards without hard work. : to do labor work; referring to manual labor.